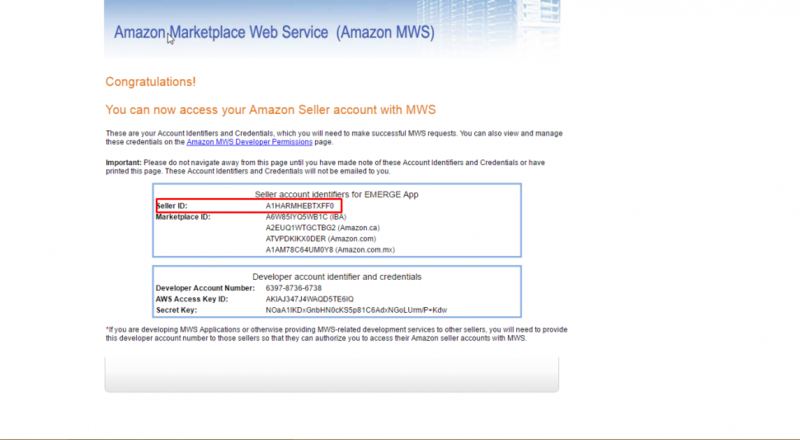 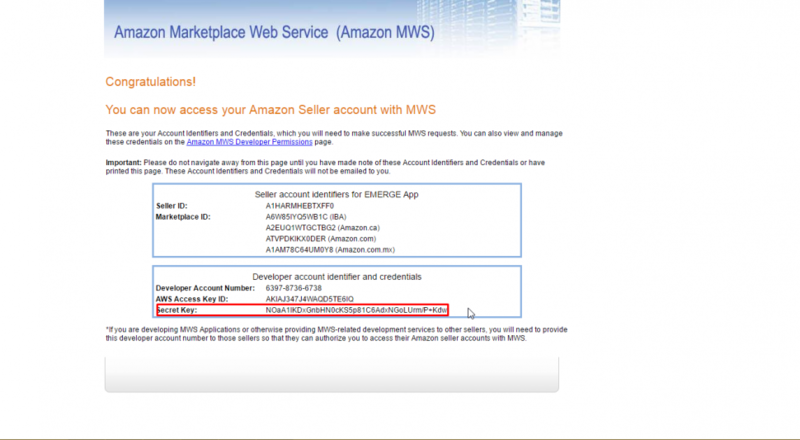 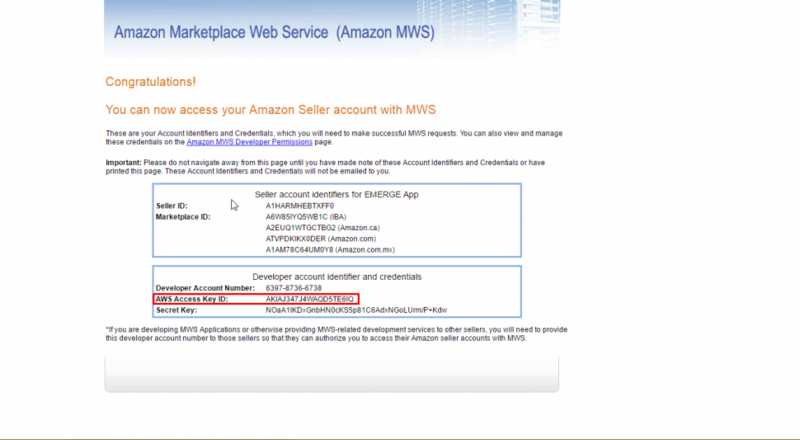 This instruction will show you how to get Seller Id, Marketplace Id, AWS access key, Secret key and import data from Amazon to EMERGE App. 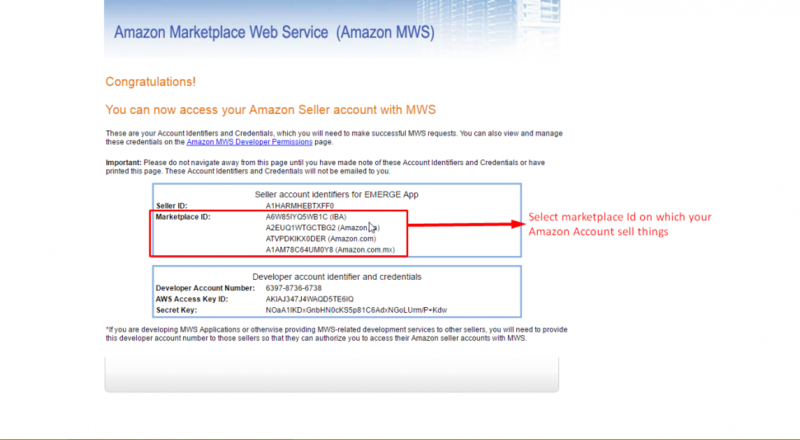 You will need to have a seller account on the “Professional” plan or higher. 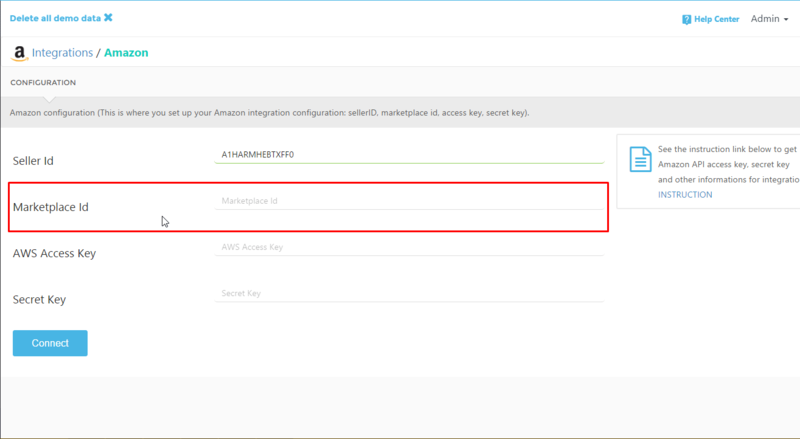 Step 1: Go to https://developer.amazonservices.com/ to get keys from Amazon Marketplace. 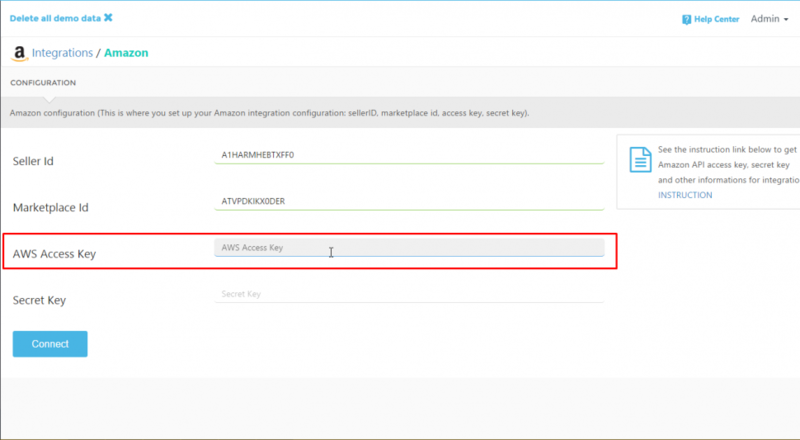 Necessary keys will be shown, you will use them to connect your Amazon account to EMERGE App. 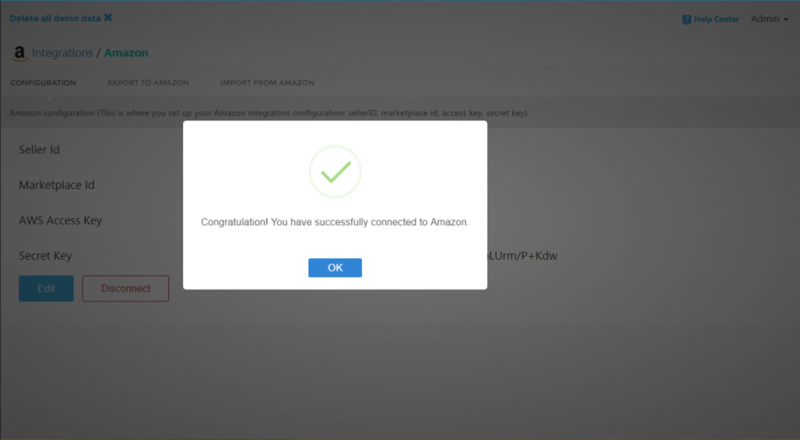 Once done, click “Connect”, the system will show a notification to inform that you have successfully connected to Amazon. 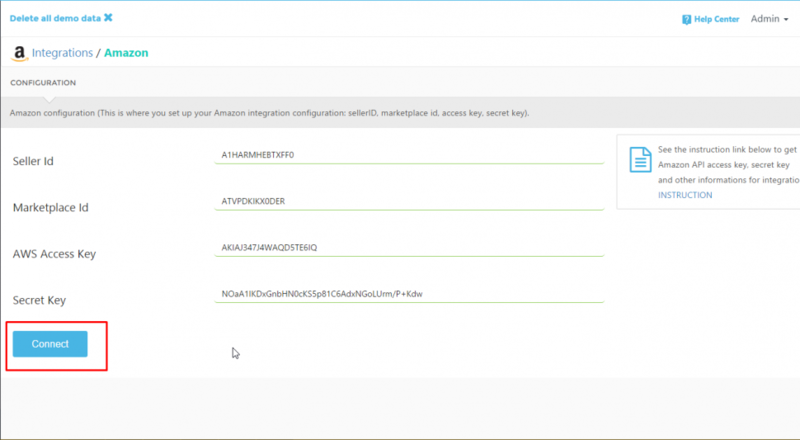 The system needs some time to get data from Amazon, it can run in the background so you can go to another tab and continue your work while waiting. 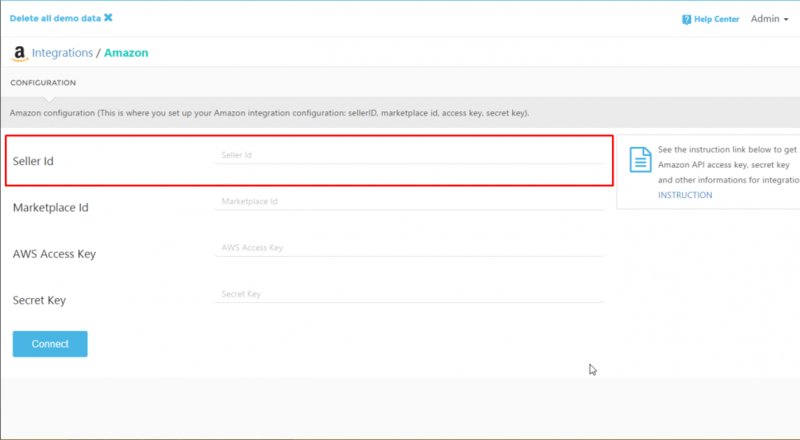 A notification will show up after all data from Amazon is loaded, all products and orders from Amazon will be shown, you can select which product or order you want to import to EMERGE App by selecting checkboxes. A notification will show up to inform you that the system is importing data from Amazon to EMERGE App, there will be another notification to inform that your data was imported successfully. Please DO NOT CLOSE THE APP during the process. 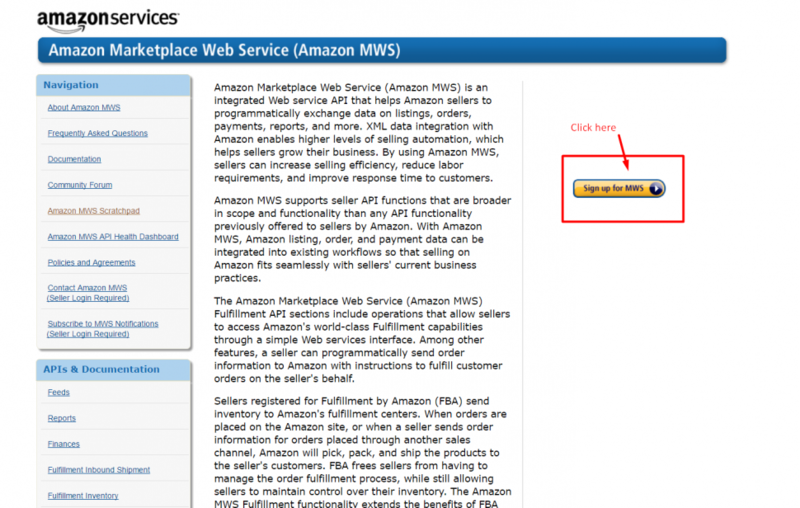 you can easily see orders from Amazon in Sales Order listing page.